Caught in actinic light trap in deciduous woodland. Going through some old photos so note the date. Lots of these around this year. 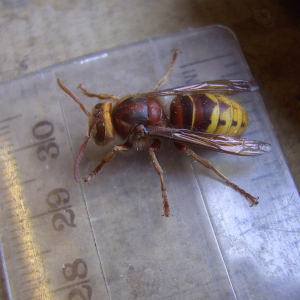 This was the first, but since then I've caught dozens in the moth trap and last week I had more hornets than moths! Bit of a nuisance to be honest.